Upswing have been working creatively with older people since 2011. 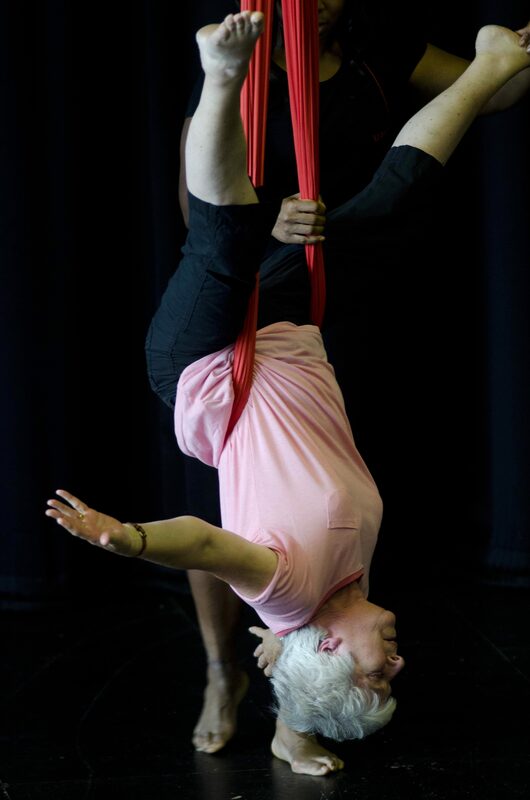 Beginning by exploring the careers of female circus performers as they matured and working with groups of older people in partnership with Entelechy Arts. This collaboration developed the unique and extraordinary show What Happens in the Winter, which premiered in 2013. 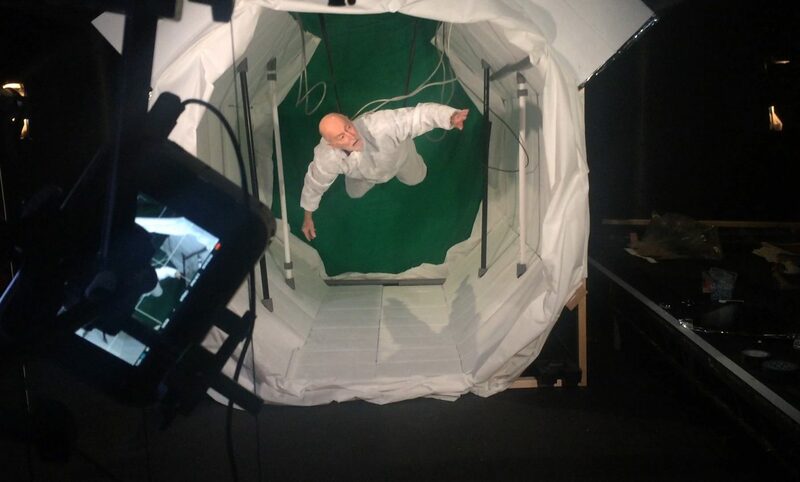 Committed to continuing this journey, Upswing was then commissioned by Big Dance Shorts for Channel 4 Random Acts to create Falling/Flying, a film in collaboration with visual artist Edwin Mingard, Entelechy Arts and Satellite Films. Drawing a whimsical parallel between the experience of isolated older people and people in outer space, Falling/Flying allowed Upswing to explore how people with different abilities could engage with circus. Upswing continually push the boundaries of the spaces that circus can occupy. In taking part in the groundbreaking project Meet Me at the Albany they were able to creatively engage with older adults in care through an all-day, stereotype-smashing arts club for over 60s. In 2015, Upswing worked with the intergenerational arts charity Magic Me and Anchor, England’s largest not-for-profit housing and care provider, to deliver a creative residency in care homes. They were joined in this innovative project by artists Duckie, Lois Weaver and Punchdrunk. Upswing worked extensively in Silk Court care home over a three month period, where circus artists, residents, their families and staff worked together to create site responsive performances. Commissioned by Hull UK City of Culture in 2017, Upswing created Homemade Circus, a multi-sensory experience which brought a spirit of adventure to six care homes in the city. Staff were trained to assist with a colourful circus installation which hosted a performance and participatory workshop. Residents and carers got the fulfilling opportunity be challenged and take controlled risks, as well as having a lot of fun together.